The Parabola The former Commonwealth Institute has been renamed as The Parabola. The Friends have been contacted again by the new owner/developers to tell us that they have appointed the internationally renowned Office of Metropolitan Architecture (OMA), led by Rem Koolhaas, as the architects for the scheme. OMA are now exploring uses and design options for The Parabola and appropriate development opportunities for the adjacent land within the site, and they hope to be able to show us a range of ideas and options in September before submitting a planning application towards the end of the year. You may recall that in the winter 2007 newsletter we reported our response to The Royal Borough's Draft Supplementary Planning Document for The Parabola (Commonwealth Institute) site. We were, and are, seriously concerned at the suggestion that there should be: "...a much more permeable relationship between the site and Holland Park, with removal of, or significant changes to, the boundary wall." We said then that we see the integrity and security of the Park as critical, as is preservation of the Park's wonderful peacefulness. Visual permeability would be acceptable along the Park's western boundary with The Parabola where tall, high quality railings could replace the existing wall. The wall to the north of The Parabola, however, is quite different and must be retained to protect the Park's tranquillity and ambience. The continued security of the Park can only be guaranteed if the increased permeability envisaged is not extended to the free movement of people between The Parabola site and the Park. Holland House and Terrace We hae wanted for a long time to see the remains of Holland House conserved and the terrace area in front opened to the public outside the opera season. Our efforts came to a head early last year when conditions we had requested were attached to the planning consent for the enlarged opera canopy and seating arrangements. Now we can report that the conservation work, begun on the house before this summer's opera season and to be concluded once the site is again clear, will have impressed English Heritage to the extent that Holland House will be removed from their ‘Buildings at Risk' register. This is excellent news and we are delighted that the Council has bitten the bullet and is working to preserve what little remains of a once great house. 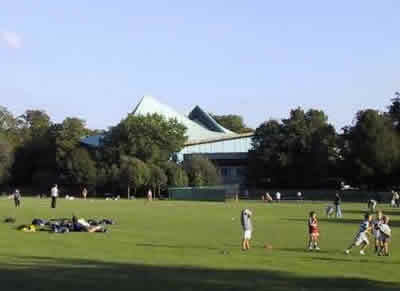 Holland Park School On 26 June The Royal Borough granted itself planning permission to demolish the existing school and build a new one, selling off the southern playing field site for luxury apartments to pay for it. On the 24 July, despite his many public promises to "stop the sale of playing fields" Mayor Boris Johnson rubber stamped the Council's plans. This was followed on 31 July by the Secretary of State confirming that she had decided not to intervene. 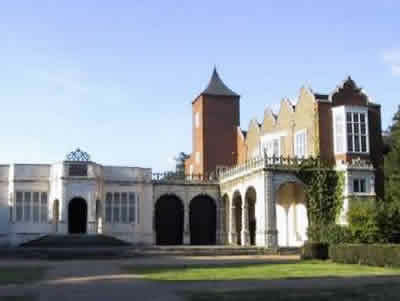 On the same day, the Government Office for the West Midlands (GOWM), on behalf of the Secretary of State, approved the Conservation Area Consent Application to demolish the existing school buildings, despite much criticism of the Council's lack of sensitivity to the Kensington and Holland Park Conservation Areas.